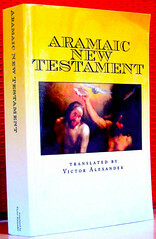 Contents: New Testament in traditional canon. – Translation Note. Comments: Paperback octavo, 516 & (4) S. Scripture text in single column with running text divided in paragraphs; copious footnotes following each chapter: idiomatic wording, alternate readings, brief textual explanations; no cross references. Birnbaum´s question: Interestingly, the synonym »Peshitta« is nowhere mentioned in this NT. 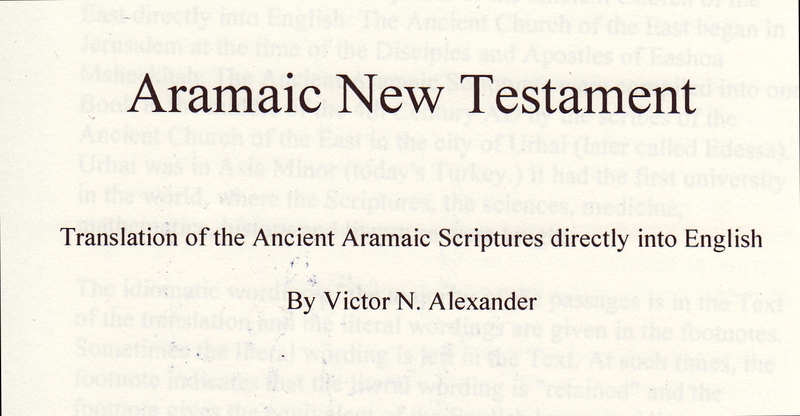 Is then the Aramaic „Original“ a prerunner to the »Peshitta“?